As of October 2018, Andrews International UK was excited to share the news that a deal had been finalised for Andrews International and their parent company, U.S. Security Associates to be acquired by Allied Universal. The integration process then started later on in 2018 through into the first quarter of 2019, this process focused on informing employees and clients of the upcoming change and making sure that there was no disruption to ‘business as usual’. As of Monday 1st April, the acquisition was completed in terms of staff, branding and significantly, in name. The Company will now be known as Allied Universal (Europe) Limited. 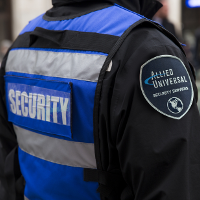 By integrating with Allied Universal, this new company will now be able to deliver service and support unmatched in the security industry. There continue to be smaller integration projects that are due to be finalised by the Third Quarter of this year, however, it is understood that this transition has been completed smoothly and the newly formed company look forward to expanding on their current service offering to existing clients as well as new potential clients.